Where’s the best spring skiing in the Rockies? This year, it’s clearly in Steamboat Springs, Colorado. With El Niño storms blowing through on a regular basis and cool temperatures keeping the snowpack piled high, this has been an epic year for Steamboat skiing and riding. The season started with an early opening in November and has been drawing crowds ever since. What makes Steamboat unique among other resort towns in Colorado is the small town feel and western hospitality combined with world class skiing and riding facilities. Spring also brings weekly concerts at the base of the mountain and tons of fun for the family to enjoy off the slopes as well. With powder so deep, those who haven’t skied in a while and those that like to push themselves hard may find their muscles aching after a few days of being on the mountain. We recommend taking a half day or a day off after a few days of racing down the slopes to refresh and regenerate. Get a Hot Stone Massage at Life Essentials Day Spa. Let your muscles relax as heated stones are placed in strategic areas across your body to help loosen muscles before your massage therapist treats you to a deep tissue massage. Have dinner at Cafe Diva. Rated as the “Best of the Boat” for fine dining, this is a five-star restaurant experience you soon won’t forget. Hit Schmiggity’s Live Music Dance Bar, Steamboat’s premier music venue in historic downtown. Enjoy a performance at the Chief Theatre. Once the only movie theatre in town, this venue has been transformed to include movies, theatre performances, comedies and more. Many of the performances are unique to Steamboat, so be sure to check out their upcoming events. Hit Harwigs for Happy Hour. Located downtown at 9th and Lincoln, next to the Steamboat Art Company, they offer half price glasses of some of the best wine and champagne in town as well as a happy hour menu that includes bacon wrapped dates. Whatever you choose to do once you get to Steamboat Springs, Colorado, you won’t regret it. This small town consistently ranks as one of the best ski towns for families to visit. 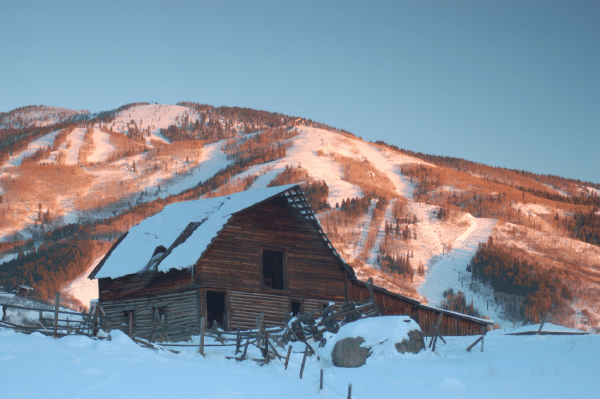 Spend your days skiing and riding and your afternoons and evenings experiencing the culture, culinary arts and entertainment Steamboat has to offer.